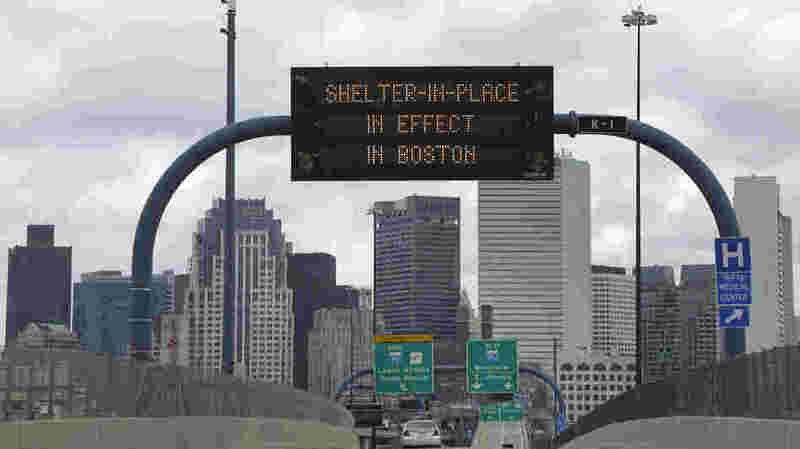 For Corpus Christi, a British Jesuit living in Boston writes movingly for Thinking Faith about the tragedy that beset the city a few weeks ago, and how such events draw us deeper into the mystery of the body and blood of Christ. 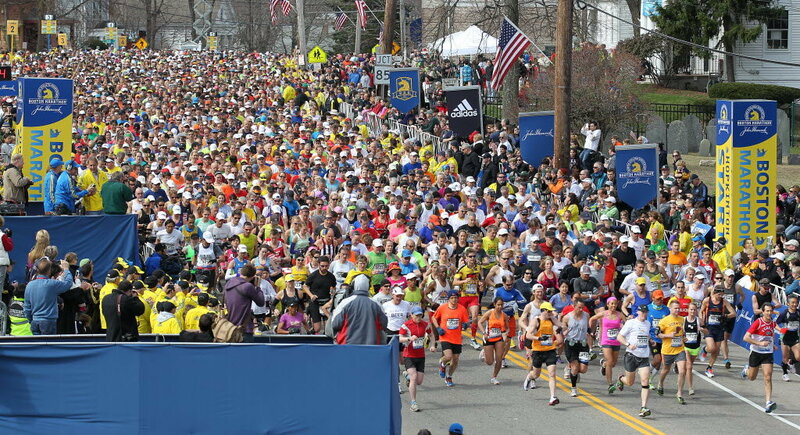 ‘Perhaps the disrupted Boston marathon can help us appreciate in new ways the Christian cult of a broken body: Corpus Christi’, suggests Philip Endean SJ. It was a public holiday here in Boston, and hence my class was not meeting. I was spending the afternoon pottering away on the computer, in my 16th floor bedroom with a beautiful view over an extensive, tranquil reservoir. At 2.50 pm I had written two routine e-mails, one to a student about her essay, one to fix up a lunch date. Half an hour later I idly opened my Facebook page. The first thing I saw was a posting from a young student I know: ‘cell phones are all down, but I’m OK’. In some bewilderment I scrolled further, and began to put together what had happened. I had opted to lie low that Monday. ‘Patriots’ Day’, commemorating key battles of the Revolutionary War, seemed an occasion for a Brit in Massachusetts to be discreet. As for the marathon, the very thought was enough to make me queasy. Total avoidance, however, was impossible; the course passed by our apartment block, and there had been something contagious about the general exuberance and fun when I had gone out just as the front runners were coming by. In one sense the trip was unsuccessful; the scheduled lunchtime Mass I had been hoping to attend at St Ignatius church just down the road turned out to have been cancelled. But the spectacle somehow made up for it—and for a couple of hours afterwards I had carried on taking furtive, fascinated looks at what was happening outside from my vantage point on high. What happened later, and the bizarre sequel of shootouts and lockdown as the bombers were apprehended, is now all too well known. The festival was desecrated. 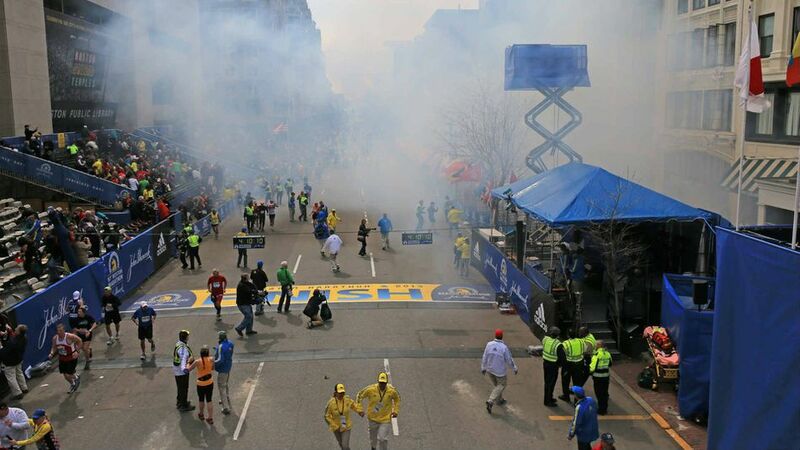 Much has been said about the Boston marathon bombings as historical and cultural events: on Bostonian resilience; on how we might react to the perpetrators; on the implications for community relations. But at the risk of pious serendipity, and even of appropriating a tragedy for religious ends, Thinking Faith’s Man on the Scene will leave political and cultural comment aside, and instead explore this idea of a civic festival shattered. Perhaps the disrupted Boston marathon can help us appreciate in new ways the Christian cult of a broken body: Corpus Christi. 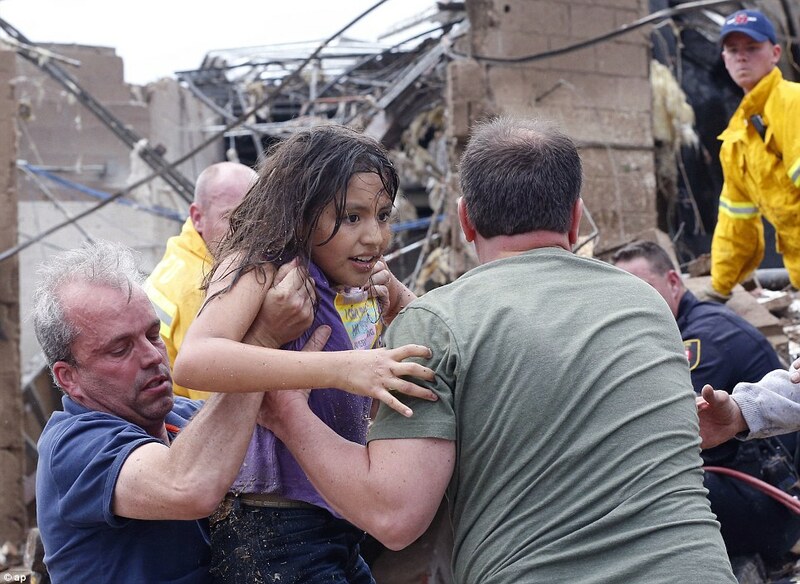 A few hours after the explosions, two pictures began to circulate online. Both were of Martin Richard, the eight-year-old boy who was killed, and whose father, mother and sister were all seriously injured. In one, Martin is standing holding a collage of his name and some religious symbols, proudly dressed in a new white suit on the day of his first communion. 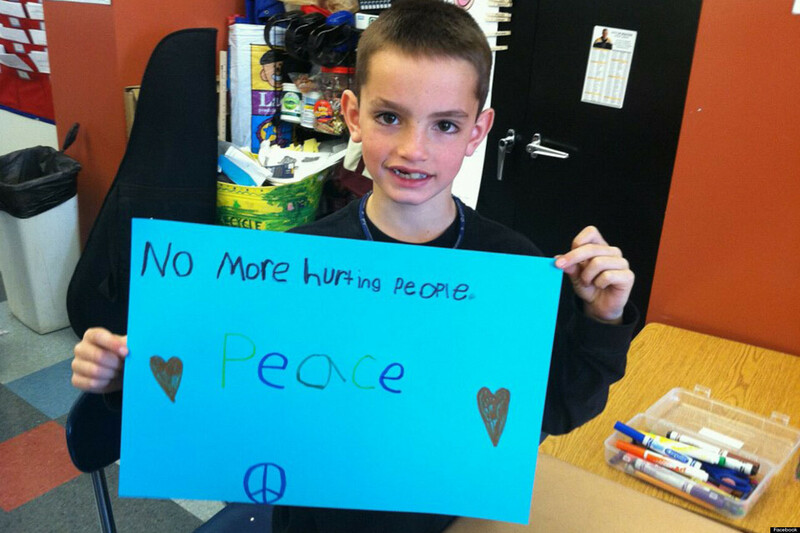 In the other, he is in his classroom holding a picture he has drawn: it has two hearts, a disarmament sign, and the message: ‘no more hurting people—Peace’. The weekday gospel readings in the days following the Boston bombings came from the long discourse of John’s Jesus on the bread of life. 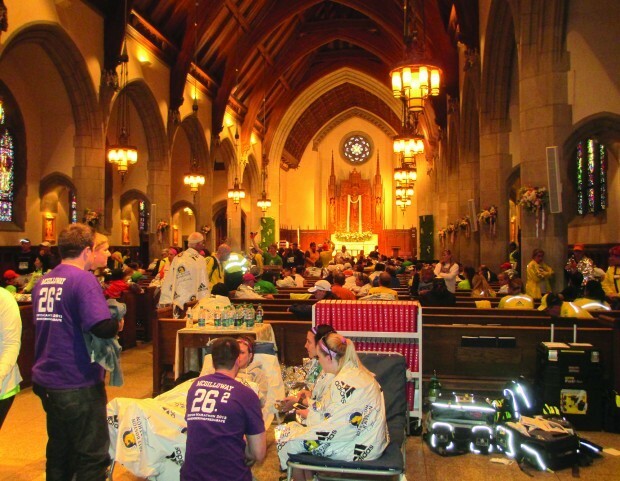 The following day, the schedule at St Ignatius church—which in the later part of the Monday afternoon had become a refuge for the traumatized and injured—was again disrupted; an extra evening Mass, hurriedly arranged, was packed with young people. The liturgy was cathartic, consoling. ‘The bread that I shall give/Is my flesh for the life of the world,’ we sang. Then the mesmeric rising sequence: ‘And I will raise you up/and I will raise you up /and I will raise you up on the last day’. For years the theologian in me has worried about connecting Jesus’s teaching in John 6 on the bread of life with the Eucharist—historically, the matter is far from certain. But the occasion, the music, the tradition of Catholic devotion that had cherished these words for once swamped such cavils. The Eucharist is a dark mystery, and Martin had been drawn into its bloody violence far too deeply, far too early. Moreover he stands for many others; even in the recent history of the United States, we can think of the grade school children massacred at Newtown, Connecticut, and those others crushed by the Oklahoma tornado. Our marathon journey is not like the Emmaus road; consolation and affliction jangle together in confusing, even cruel ways. But our faith tells us that the pride with which Martin stood on the day of his first Eucharist is somehow closer to the truth of things than the crude violence of his death. He had received bread that was Christ’s flesh, given for the life of the world. Though he had died senselessly, though countless children and innocent bystanders die before their time, they would indeed live forever, with no more hurting others, only peace. Perhaps this sounds too twee, too packaged. But as far as content is concerned, there is not much else that believers can say. Where perhaps we can be more sensitive, more tentative is in how we say it. In that connection, it is worth remembering that our modern Catholic devotion to the Eucharist has roots in a history connecting the exposed host to earthier, gripping realities. In at least some towns of medieval England, the feast of Corpus Christi was a large-scale public event, something more than a simple celebration of transubstantiation. The evidence is obviously fragmentary and the details are obscure. But it seems that the procession involved ‘the play called Corpus Christi’: a travelling pageant, in which, whether leading or following the Host in procession, various guilds would enact the whole story of salvation, from creation to last judgment. Sometimes the guilds’ real-life occupations would be carried over into the gospel story—thus, for example, it was the pin-makers of York who played the soldiers nailing Christ to the cross. Like the sacrament itself, the play brought the realities of the New Testament into the here and now. Logistically, the practice was obviously problematic; the imagination of the mystery playwrights had a tendency to overshoot doctrinal propriety and artistic orderliness. Inevitably, the Reformation and the onset of modernity killed the custom. The Catholic version of the feast became more obviously ‘religious’ and theological, an upholding of a doctrine denied by the establishment. Sometimes, indeed, the theology and piety drew uncomfortably close to magic. Meanwhile town festivals became more secular and profane; civic cohesion came to be expressed not through pilgrimage or procession but through such events as sponsored walks and marathons, carefully sanitised of cultic significance. Perhaps we have something to learn from the medieval custom. The best known text nowadays from the English Corpus Christi plays is the so-called Coventry Carol, from a nativity play, one of the two surviving texts from the Coventry cycle. ‘Lully lulla, thou little tiny child’, it begins. The music slips into carol services after the reading about the magi, and the pathos of the content gets lost as we leap forward to the final triumphalist flourishes (though there is a notable modern setting counteracting that tendency). In the original play, the women’s entrance as they sing this lament forms a powerful set piece inaugurating the play’s climax. After the Holy Family have left for Egypt, the women’s prayer, that the Babe ‘born in Bethlehem so meek … save my child and me from villany’, counts for nothing. Herod’s conscripts set about their brutal work. I hold him but lost. With him will I fight. Till I may come them to. ‘Till I may come them to’: the forces of evil are still at work. Who knows where they might strike again? The celebration of Corpus Christi seems to have involved the evocation of wild horror. There was nothing naïve or blinkered about the religion reflected in such drama. The sacramental body of Christ, the abiding real presence, was venerated within a civic procession and pageant that in all sorts of ways, comic or tragic, scripted or unscheduled, could go wrong. The Host thus functioned in symbolic counterpoint and dramatic interchange. It represented a promise that everyday chaotic, jangly reality, marked too often by untimely death and exploitative violence, was nevertheless incorporated into the life of grace: a grace that had preserved the family of Nazareth, a grace of God’s own self that had transubstantiated the bread. Philip Endean SJ is Visiting Professor of Theology at Boston College. For basic background on the Mystery Plays, see V. A. Kolve, The Play Called Corpus Christi (Stanford, Ca. : Stanford UP, 1966), and Rosemary Woolf, The English Mystery Plays (London: Routledge, 1972). An Edwardian text of the Coventry Pageant of the Shearmen and Tailors can be accessed through the hyperlink; a more recent scholarly edition is The Coventry Corpus Christi Plays, edited by Pamela M. King and Clifford Davidson (Kalamazoo: Medieval Institute Publications, 2000). In my quotations I have modernised the spelling; more generally, I have rather skated over many complex issues of scholarship. The only reliable manuscript of the Coventry plays was destroyed in a fire in 1879; we are dependent on two unsatisfactory transcriptions from the early nineteenth century. But the historical elusiveness is perhaps in keeping with the realities that the plays express. Urban IV’s Bull is not easily accessible, and its subtle wordplay is a challenge to any translator. The last paragraph above is based on the following: In institutione quidem huius sacramenti dixit ipse Apostolis: 'Hoc facite in meam commemorationem' (Lc 22, 19), ut praecipuum et insigne memoriale sui amoris eximii, quo nos dilexit, esset nobis hoc praecelsum et venerabile sacramentum. … Hoc est memoriale ... salvificum, in quo gratam redemptionis nostrae recensemus memoriam, in quo a malo retrahimur et in bono confortamur et ad virtutum et gratiarum proficimus incrementa, in quo profecto proficimus ipsius corporali praesentia Salvatoris. … ... Hic panis sumitur, sed vere non consumitur; manducatur, sed non transmutatur, quia in edentem minime transformatur, sed, si digne recipitur, sibi recipiens conformatur.